This entry was posted in Meeting Agendas on April 7, 2017 by Chris Boone. III. Board Members in Attendance: Glenka, Kolbeck and Grelson. V. Borough Assembly Report: Assemblyman Kolwalke not present. Via email: Subject: Ordinance 17-021 recently passed regarding trapping prohibitions in some high-use areas and school grounds. 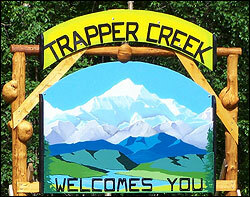 Kolwalke will add Trapper Creek Community Park to the list. VI. TCCSA CIP Report: CIP#4: $15.00 expended this period for fixing a broken water bib. Total remaining $10,988.86. Total spent to date: $9,011.14. Letter received from Barbara Baumgartner, Mat-Su Borough Dept. of Finance regarding unspent revenue sharing funds in FY2012, FY2013, FY2014 and FY2015. Funds need to be spent by December 31, 2017, unless there is good cause to extend. 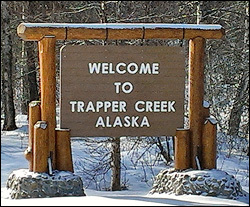 Ms. Baumgartner also stated that Trapper Creek is in good standing and current with revenue share reports. This entry was posted in Meeting Minutes on April 7, 2017 by Chris Boone.